Canon announced the Canon EOS-7D Mk II camera and EF 400mm f/4 DO IS II lens on September 15 but chose not to announce the EF 100-400mm II lens at that time. The Series II lens was finally released on November 11. I placed my order right after the announcement and expect my supplier to start shipping the lens to me around the second week of December. My supplier informed me the Canon EF 100-400mm f/4.5-5.6L IS II lens will be shipping this Friday. Since I ordered it as soon as it was announced, I should hopefully get it by the weekend. Spoken to a friend in Asia who just got this lens. He is impressed by its new design and performance. The Series I lens came out in 1998. 16 years of advancement built into the Series II lens. 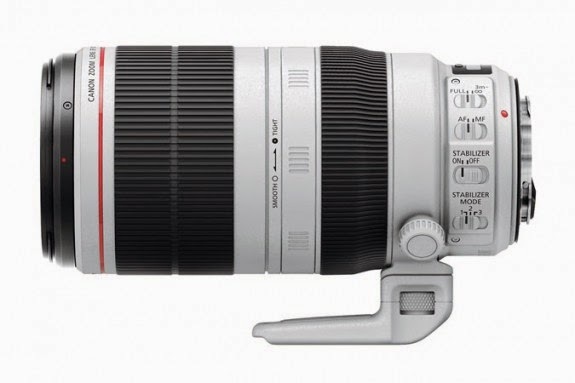 I expect the Canon EF 400mm f/4 DO IS II lens to be also arriving very soon as well. Just in time since I have a series of wildlife photo shoots coming up after the New Year.